Apan Mudra is useful to detoxify the body and energize your system.It is also known as the purification mudra. It is useful to increase the balance of the elements of Aakash and Prithvi within the body. Apan Mudra is very easy to do, just placing the tips of the middle and ring finger with thumb finger. 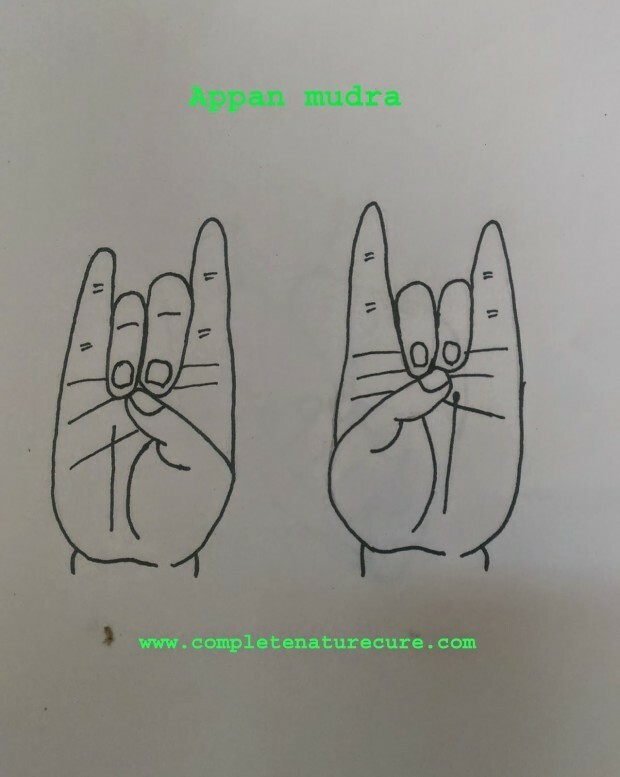 Apan Mudra is combined form of Prithvi and Aakash mudra.This mudrā increases Vata and Kapha mudra and decreases pita humor. Burning in the body and body parts. 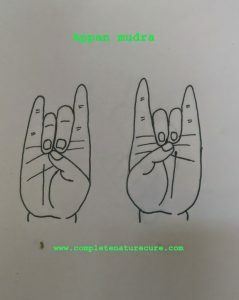 Apan mudra is very helpful in the treatments of all the diseases of deficiency of Vata, and Kapha. Ailments caused by and excess of element fire and humor Pitta. You can practice this Apan Mudra any time or any place but in morning hours is the best. 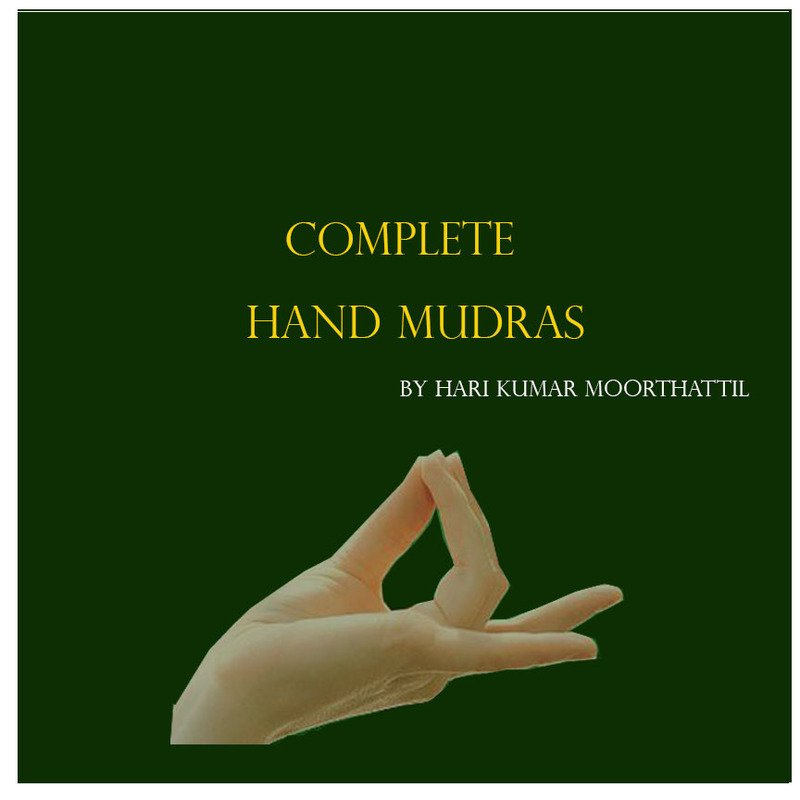 If you are a Vata and Kapha Prakriti then practice this mudra in moderation only.